In issues of political contention, I often have hard times making decisions. There’s typically a reason they’re in contention in the first place. The Torah helps solve a lot of these and let’s us determine right from wrong, but then in cases like zionism which are in contention, I can argue a lot of sides. However, in the 2014 conflict between Gaza and Israel, I just don’t get how a reasonable person supports Hamas. So I went and found a “reasonable person” – a nurse at a local hospital. Below is our conversation which started in response to an article about a protest for Gaza. Me: I’d really like to go to the new ‘palestinian american community center’ and speak one on one with some of these people to actually understand their opinions / dialogue. The only problem is that I fear for my safety. Somehow, I doubt they would fear for theirs in the opposite context. How do they chant things like “stop the hate”? Since when has anyone, Israeli or Jew anywhere in the world, or even non-Jews, ever expressed hate for the Arabs in Gaza? Maybe there’s a person here or there, but their own leader in Gaza was on CNN, a station not exactly friendly towards Israel, the leader not exactly denying age old anti-semitic slurs that he spewed. Is there chant, “stop the hate”, nothing more than a case of projecting their own feelings, thinking we look back at them this way? If not, where is this coming from? Then there’s the more obvious – one person says, “Palestinian blood is not any different than any other blood” but there not a single reference to, or better yet, protest against Hamas. If all blood is the same, why is there no protest against calling for arabs to stand on their roofs bare-chested to receive bombs? Missile launchers next to playgrounds? 14% of missiles launched from Gaza … falling in Gaza. If they had their protest in Gaza itself, likely most of the protesters themselves would be shot. It’s so simple. All they have to do is stop shooting. Stop spending 40% of Gaza’s government budget on digging tunnels to abduct and kill people. When you use concrete for terror tunnels instead of an office building or even a mosque, is your goal for Israel to be as poor and miserable as you, or do you want to be as happy and well off as Israel? I’m hardly a big supporter of the Israeli government and mistakes have been made in dealing with Gaza, but there’s no question in my mind which side has the moral right here. Responder: That’s amazing your words are as pure as israeli actions. 2000 innocent civilians and 600+ kids dead. Actions speak louder than words. Don’t you dare criticize peaceful protests especially for the apartheid. Me: If thousands of rockets fired at civilian cities is your idea of peaceful protest, then we’re not using the same definition. Had Hamas / Gaza engaged in “peaceful protest” they would have open borders and live side by side in peace. I don’t know how you can refer to the terrorists shooting rockets as “innocent civilians.” Go ahead and set up a rocket launcher on the grounds of Holy Name Hospital [a local hospital] and fire an M75 rocket in the general direction of Manhattan. When the police come and shoot you, will you say you were an “innocent civilian”? Terrorism is not okay and terrorists in the act of committing terror do need to be killed before they are successful. Yes, it is true that there are some civilians who are killed and that is a tragedy. Responder: Ha ha isn’t the west bank a great example of peaceful resolute? 15 years ago the Fatah and Arafat responded to every Israeli demand in return for a Palestinian state. Where are we now? More israeli settlements and Arafat was killed. Your a lawyer right. How would you argue the fact the 3500 rockets 2 civilian deaths. 1 airstrike averages 10 civilian deaths. How would you argue the airstrike on the beach that clearly had zero action just 4 kids kicking a soccer ball. How could you argue that when journalists in gaza have to wear 50 pounds of gear to protect themselves yet journalists in Israel are playing golf. How do you justify the torture and murder of 2000 innocent civilians. If you stop restrictions on their freedoms than you’ll stop the hate. But as a professional liar you can’t justify 2000 killed and thousands more getting tortured daily Me: Please at least keep this respectful and refrain from comments like calling me a “professional liar.” That’s uncalled for. Why are you not protesting Hamas? Why are you not demanding that they stop shooting rockets at civilians if everyone’s blood is equal? Why are you not demanding removal of rocket launchers from kindergartens and rockets from mosques … terrorists shooting from the windows of shefa hospital in Gaza City … if you care about even Muslim blood? You can’t make war from these places and cry foul when your rocket launchers are destroyed. As for you other arguments: – Arafat was offered a state by then Prime Minister Barak in 2000. He turned it down and launched the second intifada. – 10,000 Jews were evicted from their homes in Gaza [which also doesn’t make sense – even if it’s Arab run, why can’t people of other religions live there?] Gaza responded by voting in Hamas to destroy Israel and started shooting rockets a year later. – 3500 rockets and 3 civilian deaths is called an open miracle. 3500 rockets is not okay. 3500 rockets is an act of war. In you want peace, protest the 3500 rockets and tunnels into Israel with plans for mass killing and abduction of Israelis and then you won’t have to protest Israel coming into Gaza and attacking the terror infrastructure. – The Druze in Israel (who are Muslims) largely serve in the Israeli army … they elected to be peaceful since ’48. In fact, Abu Ghosh, a neighborhood in Jerusalem of Sunni Muslims is one example of many (I don’t know them all) that elected to live in peace and they do. Imagine if the UN’s partition plan in ’48 would have been accepted by the Arabs. Clearly, it wasn’t G_d’s plan, but there would be no need for war, ever. – Maybe Gaza should build golf courses instead of terror tunnels to journalists there can play golf too. Instead, journalists are harassed, threatened, and expelled if they report anything negative about Hamas … but they don’t get it as bad as the Gazans who are summarily executed for protests. – Again, a mistake civilian death is tragedy and the Israeli army does everything they can to avoid them and calls off airstrikes when there are too many civilians. The clear difference is that Israel does things like drops leaflets before and says leave the area so they can destroy the rocket launchers, whereas Hamas responds and says stay there and bare your chest to the missiles and be a casualty. – No one “tortured and murdered” thousands of innocent civilians unless you’re talking about 9/11, ISIS, Syria, or the numerous other places where people, in the name of Islam, are mass murdering. Killing these mass murderers, or attempted mass murderers (since, thanks to some help from above, it seems Hamas’s plans have very much been thwarted in Israel) is, unfortunately, necessary. I regularly work with Muslims / Arabs. My barber is one and so are many of my clients. Admittedly, I don’t talk politics with them very much, but what I never understand is why Arabs focus so much rage on others and so little on self-introspection. There’s not a protest, let alone a peep, against anything from Bin Laden to ISIS beheading children in playgrounds and putting their heads on sticks, to hundreds of thousands killed in Syria. When you see a picture of a dead child, do you have to read whether it happened in Syria or Gaza to decide whether or not you are morally outraged? There was also a subsequent comment which the responder had the good sense to delete blaming the abduction and murder of three teens on an Israeli government conspiracy after my below response. This deleted comment also blamed Israel for “genocide”, “ethnic clensing”, and denying food to people in Gaza. I was not able to retrieve the original, but if he went back to delete it, that’s a success as he realized how egregious such claims were. Responder: I apologize if you’re still doing the math, rockets have been successful in 0.0006% instances. That’s a real threat, you have a better chance of getting hit by lightning. Me: If a murderer is ineffective then their attempts at murder are okay?!?! [It’s also somehow Israel’s fault for not allowing more citizens to die by using missile defense systems. Then it would be ‘fair’.] According to your logic, if 10 gang members surround you with guns and try to kill you it is only self-defense to shoot one of them. You can’t kill 2 because then “the numbers speak for themselves.” If you kill 4 of them, it’s “ethnic cleansing” and if you kill 6 or more, it’s “genocide.” You admit and are fully aware that Hamas has fired 3500 missiles (just recently) at civilians, and are probably also equally aware of the suicide bombings and so forth. They are called a terrorist organization and you are defending them. That is not okay. If the Arabs in Gaza want peace, why did they vote in terrorists? Israel provides Gaza with hundreds of trucks of humanitarian aid each day – Hamas uses half their tax money for not food, not water, not any of that … for terror tunnels and missiles fired, not at the army, but at people’s homes. Not only are you throwing around words like “ethnic cleaning” and “genocide” (while still ignoring Syria and ISIS and other places where these things are actually going on) but you are blaming the Israeli government for murders carried out by Hamas. I ask you one question – do you seriously believe the stuff you are saying? If you want peace in Gaza, I suggest your next protest be against Hamas and terrorism. All they have to do, to get what you claim they want – is stop fighting. If Israel put down it’s weapons, Hamas would keep attacking. If Hamas put down it’s weapons, it would have an open border and peace. It’s that simple. 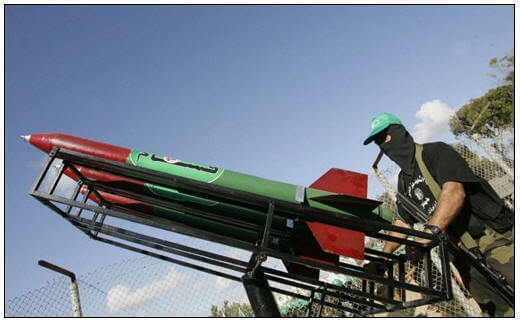 Is placing a rocket launcher next to a kindergarten and aiming rockets at civilians okay – yes or no? The responder posted, then deleted after my response, a response to my comment about humanitarian aid, above. Paraphrasing from memory, he stated that Israel is so evil that they don’t let humanitarian aid into Gaza and even attacked and killed 9 people on a humanitarian aid ship from Turkey because they’re just like Hitler. Well, he lost the argument due to Godwn’s law. Me: The Turkey “aid ship” was a setup. They [the ship] were told to turn back – it’s a closed military blockade as recognized by the UN which is never pro-Israel, and they chose to run the blockade anyway telling the Israeli commander on the radio “go back to Auchswitz” and chanting on the ship “remember kibar”. (We can read the Koran too, you know… we know what that means.) Israel stupidly sent soldiers armed with paintball guns to take over the ship who were immediately attacked and had to shoot to save them. Comparisons to Hitler are uncalled for, as are claims of genocide. It is not my people, even the ones I most vehemently disagree with, who chants “death to” anyone. Responser: like I stated before we will know what happen in this genocide when the UN does its probe. We all know in 2005 israel was found guilty of war crimes. It is called for the Hitler and genocide comparison, they are identical. Thank you for agreeing that the blockade prevents humanitarian aid to reaching kids in need of food and medicine. As far as what happen on the ship it was israel that conducted the investigation and they are known to be let’s say untruthful. But they did mention that activists had no weapons, more proof that disproportionate force is used. But instead of debating on who is wrong or right I will say this, I am pro 2 state solution. The borders should be patrolled by worldwide neutral officers and the blockade should be lifted. I have alot of Jewish friends, we are great friends here, before 47 they lived together peacefully for many years. This crap has to stop and blaming Hamas is not going to get peace, fixing the root of the problem will result in peace Me: If you believe UN is an arbiter of truth and/or fairness, that would be the furthest opinion from mine that you have proffered yet. The writer of the 2005 report, Goldstone, recanted his findings. The UN is always against Israel. Check out how many statements they make about Israel compared to the rest of the world… it’s something like 70% of resolutions about Israel with a population of less than 1% of the world. Where is the ‘human rights commission’s’ investigation of … anything else? Humanitarian aid can be shipped, and is shipped, by many countries around the world… it goes through the port of Ashkelon. If Turkey wanted to send it that way, they could (and probably do). The mavi mamara very much had weapons. From Wikipedia: ” Israel said that they found knives, metal and wood sticks in the ship. The U.N. report stated that knives from the ship’s kitchens (plus one traditional, ceremonial knife), some catapults (slingshots) and metal pipes the passengers cut from the ship’s railings were found. ” Since you seem to trust the UN, I think you will agree that there were knives, slingshots, and metal pipes used as weapons. All of these things can kill people and the Israeli soldiers didn’t just start punching themselves. I have heard similarly from some anti-zionist Jews who live in Israel that before ’47 the Arabs and Jews lived more in peace. I wish the zionists had respected Arabs more from the beginning, but the fact is that we can’t change the past. We’re living in 2014 and yes, Hamas is to blame for the current situation. Imagine if in 2005, after Israel left every inch of Gaza, the population there voted in a government that recognized Israel and bought not one missile or dug one tunnel into Israel or fired one shot into Israel. How do you think the situation would have looked? There would be not 2000, not 1000, not 50 deaths from Israeli strikes. There would be none and Gaza would have an open border and flourishing economy. Again, we can’t change the past, but … Gaza can still make this choice today. Dialogue like this gives me hope – if a person never hears something from another side, it allows them to re-enforce ever sillier views. The person I was discussing deleted some of his more heinous arguments, re: Israeli conspiracy to murder teenagers as a pretext to start a war, and ended with his respect for Jews and a two state solution. This was an educated person living in the United States, however. Still, what I never understand is … where are the Muslim/Arab movements that speak out against Hamas, terrorism, and the like? Example: When the Boston marathon bombing happened, instead of the mosque in Boston saying, “We’re so upset it happened here – we’re inviting the FBI to give our leaders training in recognizing potential terrorists before they commit acts of terror and raising awareness among our members”, the Imam wrote, “We’re victims just like everyone else. His gym didn’t catch him either.” Yes, but the gym doesn’t have a recurring problem with producing terrorists – nor does the gym refrain from speaking out against them.